The goal of one of my first exergame studies was to quantify the amount of moderate to vigorous physical activity (MVPA) in youngsters who play DDR. While playing DDR for 45 minutes, the youngsters were in the MVPA range for over 33 minutes (~73%) and the average heart rate was 142 beats per minute. Yang, S.P., Graham, G. (2005). 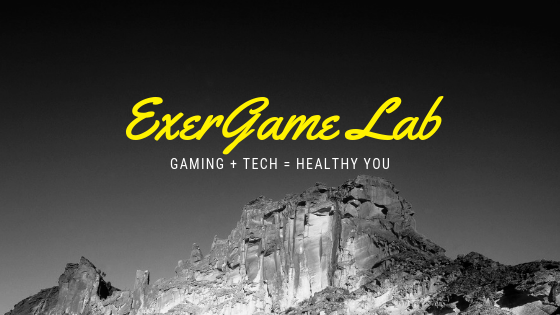 Project GAME (Gaming Activities for More Exercise). Research Quarterly for Exercise and Sport, 76(1 Suppl), A-96. Note: I am now an Assistant Professor at SUNY Cortland. Click here for my profile. Collect points in the soon to be released ME2 Universe by being active. Each step earns you a point that you can use to purchase in-game rewards. 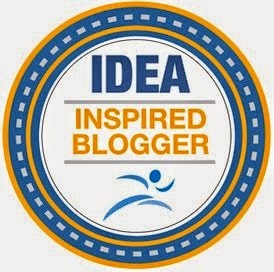 I'm not sure if they're using a pedometer or accelerometer to capture steps. Introduced at Toy Fair. I really like the integration of real world physical activity combined with online game-play. Play Swinxs outside or inside using the bracelets and console (RFID ) and attach to any PC to share games and scores online. "It's in the game!" takes on a whole new meaning with TN Games impact-generating technology. Imagine playing a game and being able to feel (not haptically) the kicks, punches, and bullets. Although this 3rd Space Vest is new, the idea of adding physical feedback is not new, the previous versions were cumbersome and primarily research projects. The use of air compressors to rapidly fill up small air sacs is quite different compared to earlier vests that used vibration technology. TN Games : "TN Games® proprietary impact-generating technology utilizes a lightweight, durable air compressor system to fire fully customizable pneumatic cells, each capable of delivering up to 5 lbs of force. Cells fire at their own rates, force, and duration, giving players a wide array of sensory experiences that include punches, kicks, stabs, bullets, blasts, G-force, and other types of environmental contact effects as they happen to their character in the game. 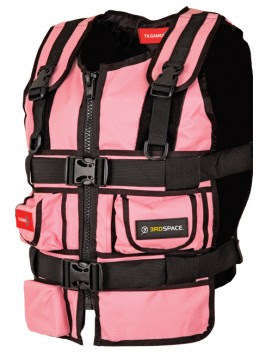 The 3rd Space vest is the first product to harness TN Games' impact-generating technology. The vest communicates with compatible games to give precise, 3 dimensionally accurate impacts where it happens, as it happens. 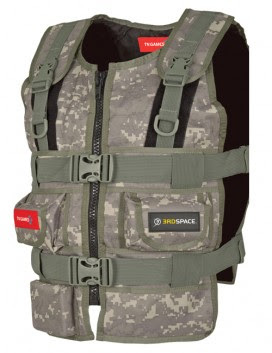 The vest uses 8 anatomically located contact points (4 front and 4 back) to simulate the direction and force of contact effects in a wide variety of First Person Shooter and Role Playing games. 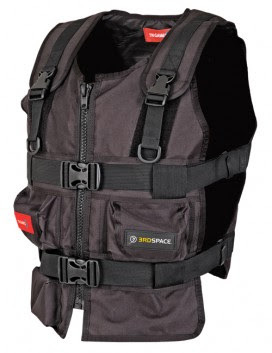 The 3rd Space Vest connects through a standard USB drive to any PC and can be used in both single player and multiplayer environments." Exergame Zone in Rockland, NY. Featuring DDR, EyeToy, Gamebikes and perhaps XR Station (formerly Powergrid's Kilowatt).